New Orleans Bars, SERVPRO, and Water Recovery Fast! Having a leaky sink causes water damage inside of your establishment is never something that any business owner wants to deal with. However, when misfortunate does strike, it is essential for you to strike faster. Getting immediate help can mean the difference between an inexpensive cleanup and complete water damage remediation. Sadly, the leak inside of your pub's bathroom went unnoticed for a couple of days, as the sinks are built into a counter and were leaking water onto the floorboards directly underneath. Upon finding the water damage inside of your New Orleans pub, you knew to reach out for help right away, which helped prevent the damage from accelerating any further. 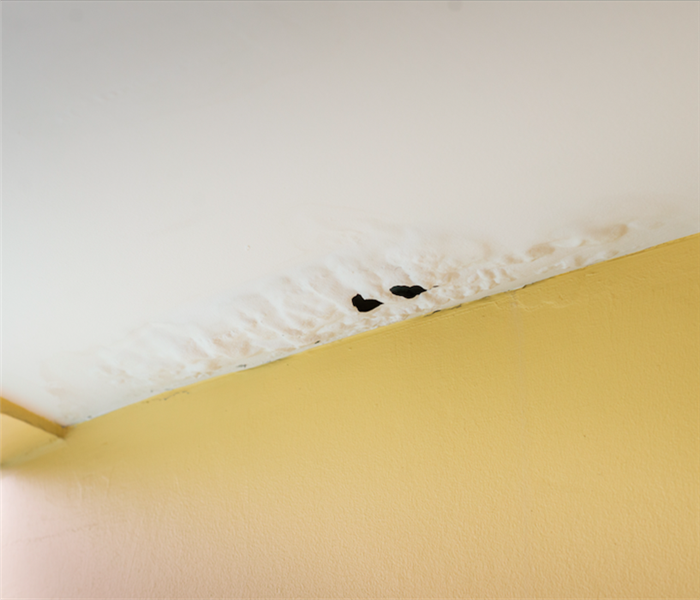 Leaving water damage can cause even more problems, as excess moisture can feed airborne mold spores, which are omnipresent. A dark and damp place is an excellent place for mold damage to form. SERVPRO works around your schedule; your hours are our hours. Whenever you need our services, we can be available, day or night. Having a pub without a working restroom can lead customers to leave faster than they naturally would, and therefore can equal a loss of business. SERVPRO knows how essential foot traffic is, which is why we work around the clock, efficiently, and swiftly, to ensure that the damage is dried as quickly as possible. When SERVPRO arrives, our IICRC-certified technicians can immediately get to work. We can dismantle the counter top and remove it, allowing us access to the floor underneath. From there, we can set up advanced technological drying equipment, designed to remediate water damage swiftly. To address the moisture in your wooden flooring, we can use drying mats to create an intense drying environment, which pulls the moisture right out of your floors. Additionally, we can set up desiccant dehumidifiers, axial fans, and air movers, to dry out the countertops made to house your sinks. Lastly, SERVPRO can use thermal imaging technology to ensure that there are no pockets of water in your walls or underneath your floor. Once finished, we can return your business to you in its pre-damaged state. 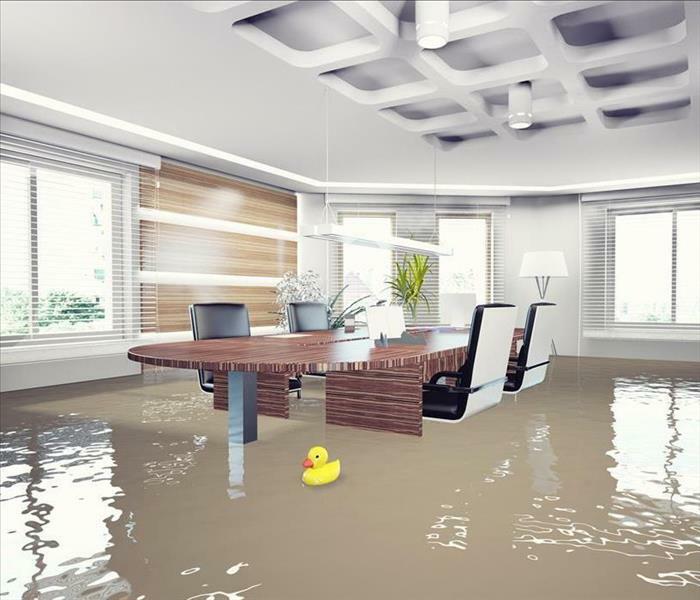 When water damage interrupts the flow of your business, never hesitate. Communicate with SERVPRO of The New Orleans Westbank by calling the number (504) 348-7526. Whenever the time, we're open for you. If you ever suffer from wet hardwood floors after a water leak, call SERVPRO at (504) 348-7526 24 hours a day and seven days a week. If moisture ever gets into your New Orleans home, it usually will head directly to your floor. During most water removal projects, the floor is a major area where restoration work gets completed. Once moisture starts to spread, it can soak deep into materials that are porous and ones that are not as permeable such as hardwood floors. Wooden floors are made to repel moisture, but if the situation is severe, the flooring materials can get saturated. 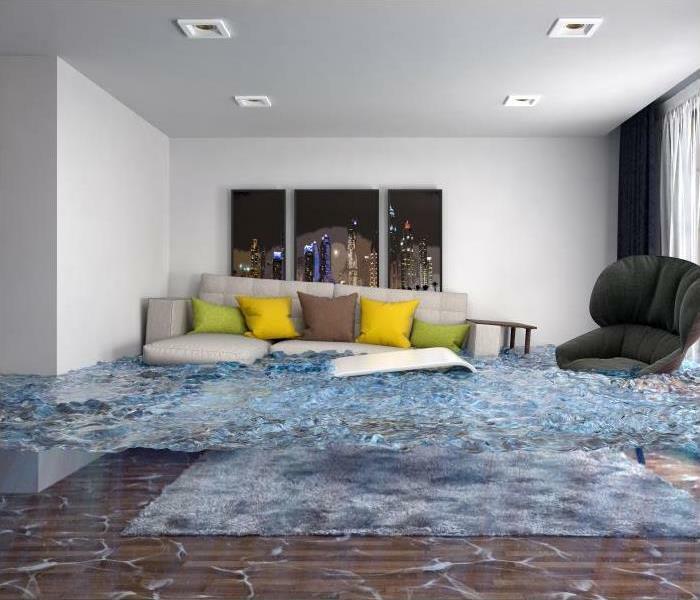 Any time you notice that your floor gets wet, it is a good idea to call in a professional water removal company such as SERVPRO. Problems like saturated hardwood floors require professional attention to be saved. If water removal inside your New Orleans residence is not conducted right away, several issues can occur over time. Our SERVPRO technicians provide fast, 24/7 service to any building in our region. Our technicians are located nearby allowing us to arrive at your house quickly after you notify us. Our highly trained team at SERVPRO is IICRC certified and experienced in restoring moisture-related damage in many different scenarios. Our technicians are trained to utilize specialized equipment to mitigate structural issues. Our experience allows us to choose the best techniques and methods during your specific restoration project. We also utilize a wide array of advanced technology to help us get the job done in a sufficient period. For example, when working with wet hardwood floors, we take extra measures to remove moisture from the flooring materials quickly. In minor situations, we can dry out wooden floors by setting up air movers and dehumidifiers in the affected area. If the water has soaked deeply into the floor, then we can utilize hardwood floor drying mats to push air deep into the wooden flooring. Drying out wood floors promptly can prevent them from cupping or buckling. If you ever suffer from wet hardwood floors after a water leak, call SERVPRO of The New Orleans Westbank at (504) 348-7526 24 hours a day and seven days a week. Our certified technicians know exactly how to handle any size fire damage disaster in your home. 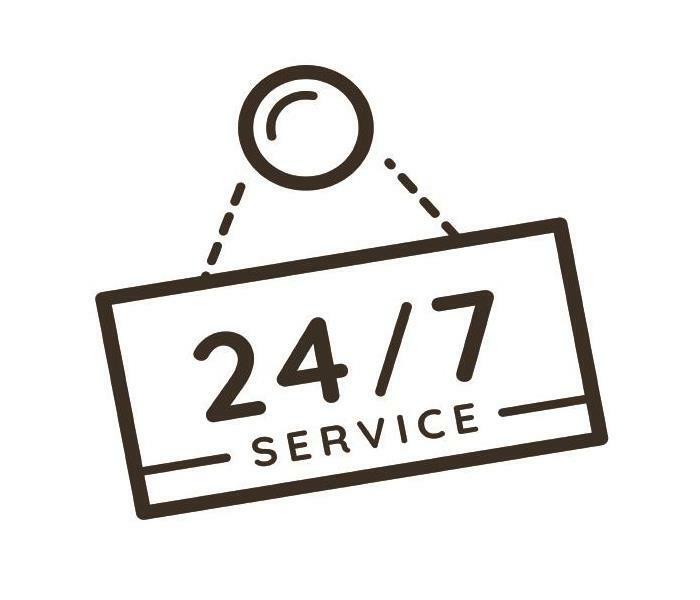 Call us right away, we are available 24/7. New Orleans residents do not usually think of fire when it comes to a disaster. Flood water in the attic yes, but not scorched roof tiles, burned support beams, and smoke residue covering everything else. Removal of property from a New Orleans home depends on the type of fire damage the personal and structural items suffered. SERVPRO technicians determine if the cause was the heat and flames, smoke residues, or as a result of the effects to extinguish the fire. Each type of damage also falls into three levels or categories of damage: Minor, Medium, and Major. With Minor damage, there is little need for removal. The fire was small, quickly extinguished, and restricted primarily to a single room in the home like the kitchen. Only small items like dish towels and perhaps the pot or pan where the fire started must be disposed of and replaced. Most of the restoration involves light cleaning of residue covered counters, cabinets, and floors. When there is Medium damage, SERVPRO technicians remove more property since the fire was larger, spread into other parts of the home, and took longer to extinguish. Larger items like furniture and drywall panels are physically damaged and require disposal. Cleaning requires stronger chemicals and tools like scrub brushes. Odors are very noticeable and require further cleaning to eliminate them. Major fire damage is exactly that. Items near the origin of the fire are severely burnt and need immediate removal and disposal. In addition to drywall, structural supports like wall and ceiling framing also suffer physical damage. Smoke residues are so thick that some items cannot be completely cleaned and requires replacement. Odors can be so strong that eliminating them can be more expensive than replacement. Not every removal of property means disposal, however. Team members can move undamaged items or those that only need cleaning to a container on the property, or to temporary storage to protect them while repairs are underway. If items like blinds and some upholstered chairs have very heavy residues, it is necessary to remove them to our office for specialized, immersion cleaning. Our goal at SERVPRO of The New Orleans West Bank is to clear out and clean out every home as quickly as possible. The sooner we can finish, the sooner you and your family can return to your home and start getting your lives back to where they were before the fire. For more information about what we can do for you, call us at (504) 348-7526 today. Click here for more information on the Youth Summer Camp. The Solution To Your Water Damage Issue In Your New Orleans Home Is Our Crew At SERVPRO! Water damage is a New Orleans homeowner's worst nightmare. New Orleans water losses must be addressed immediately, preventing homeowners from taking a leisurely approach to choosing a contractor. Within 24 to 48 hours, unmitigated moisture can encourage significant mold colony growth. The porous, cellulose-based building materials common in modern construction absorb water readily and deteriorate fast, why our rapid response is critical to delivering success under challenging circumstances. Water damage is a New Orleans homeowner's worst nightmare. Our humid climate, season storms, and presence of fresh or seawater from all sides increase the risk of accelerated damage from any water loss. Impressively fast response times, highly-qualified technicians, and the most up to date equipment is why we get the call when water intrudes. From the moment we arrive you see why SERVPRO is a water mitigation industry leader. Our crew lead assesses the scenario with an experienced and practical eye, swiftly devising a plan that our crew implements fast. There is no wait for necessary equipment as our service vehicles are stocked with the pumps and wanted water extractors needed. IICRC-trained technicians use technologically advanced thermal scanners and moisture meters to locate hidden water and establish baseline levels for the drying efforts to come. Once we extract all standing water, our crew creates a perimeter of air movers, heaters, and dehumidifiers to pull absorbed moisture out of porous building materials. Wetness moves to the dry, warmer air and is then absorbed or condensed for permanent removal via our desiccant or evaporative dehumidifiers. As the process continues our highly-qualified technicians adjust the positioning of the equipment for efficiency. The dedication our employees brings to each job is why SERVPRO projects start up fast, run smoothly, and cross the finish line successfully. As the moisture levels normalize we check for any signs of mold growth and use EPA registered antimicrobials to sanitize the affected area to inhibit any future infestation. Clean, dry, and sanitized is our goal to welcome you back “Like it never even happened.” After our employees wrap up the job, you understand why SERVPRO is the go-to restoration company for your community. Customer satisfaction with response times and results is why SERVPRO of The New Orleans Westbank should be on your speed dial. Call our crew at (504) 348-7526. 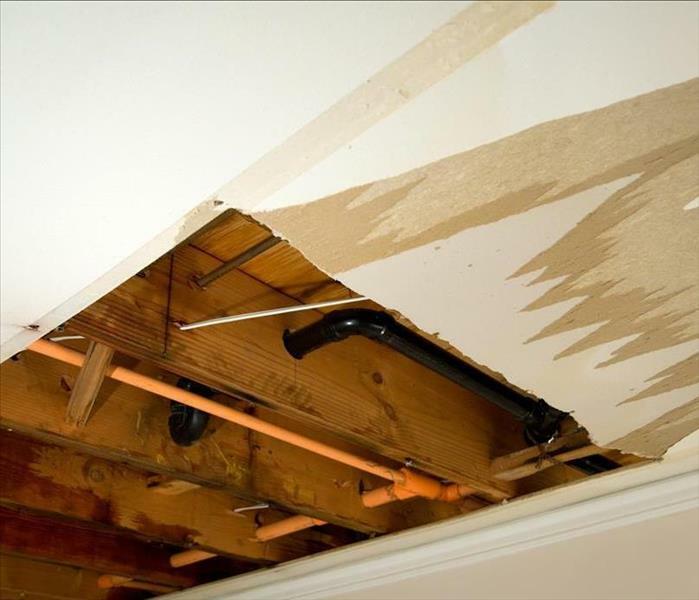 Water damage is challenging enough when you are dealing with a burst or broken pipe, but it gets even more challenging when you are grappling with a sewer backup. Black Water requires special methods for a safe and secure cleanup. 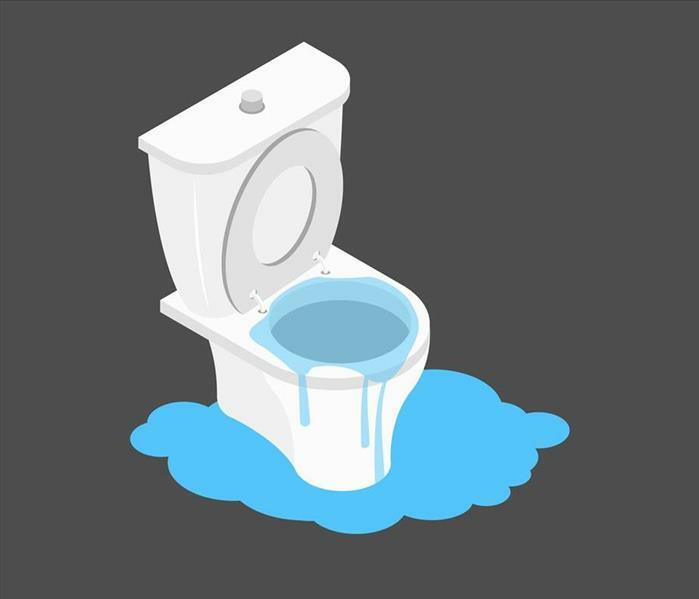 Cleaning up after a flooded toilet or another major sewer malfunction in New Orleans, LA means not only drying the area and cleaning the affected home furnishings and belongings but also disinfecting all the affected areas. That’s why it is essential to work with a professional sewer cleanup service like SERVPRO that has the tools to handle the job. 1. Turn off the water to the toilet or other appliance affected by the sewage backup. 2. Contact the cleanup service and your insurance carrier. 3. Keep pets and kids clear of the affected areas. 4. Contact repair services to fix the cause of the backup. Any cleanup that requires thorough disinfection as part of its process presents a strong risk to well-being from unprotected exposure. We advise that you make sure to minimize any human exposure to the affected areas of your home until after you have gotten professional help with sewer cleanup following the accident. Our SERVPRO crew dons PPE personal protective equipment before we begin the treatment. Water damage and restoration companies carry certifications that tell you what kinds of emergencies they are certified to handle. When you are dealing with a flooded toilet or a sewer that has backed up, you need to find a company whose employees are certified to deal with sewage and other biohazards. That way, you know they can apply the proper disinfectant cleaning protocols during your cleanup. You may need to line up a plumbing service in addition to your cleaning service, but not always. If you do need a plumber, make sure you let the cleaning crew finish, so any contaminated areas are disinfected. When sewer cleanup goes first, the repair can be completed more quickly and efficiently. Come and visit our great city, click here. Facing fire damage can be an incredibly intense experience. The chances are that you have a lot of emotions surrounding the fire in your home or fire in your business. You might feel angry, frustrated, or even scared. These emotions are a natural part of recovering from a fire in your business or your home. Many adults experience smoke damage, soot damage, and commercial fire damage to their New Orleans properties, but aren't quite sure what to do after the fire is over. After all, how can you know what to do in a situation like this? Most people do not typically discuss your options for fire damage restoration, but there are a few things you can do to restore your home after it's been damaged by a fire. Before you board up your property, we suggest you call SERVPRO, this is what you need to know. First off, understand that fire damage restoration can take time. When you're working on fire cleanup, it's important that you have patience. Fire damage restoration isn't going to happen overnight. It shouldn't. When you have a fire in your home or a fire in your business, you need to make sure you have proper fire damage restoration performed by a restoration company who understands exactly what it takes to repair a damaged building that has experienced fire damage, soot damage, or smoke damage. Before you board up your house or board up your building, make sure you take a deep breath and calmly assess the situation. Do you really want to board up your property? Alternatively, do you want to contact a restoration company who can help restore your property to its former glory? A little bit of patience can go a long way. Start thinking about SERVPRO. It's also important that you understand the impact fire damage can have on your property. After you experience a fire in your home or a fire in your business, you can likely see visible soot damage or smoke damage. This can appear as yellow stains on your walls. You may even notice a strong smoke smell as a result of the smoke damage to your property. 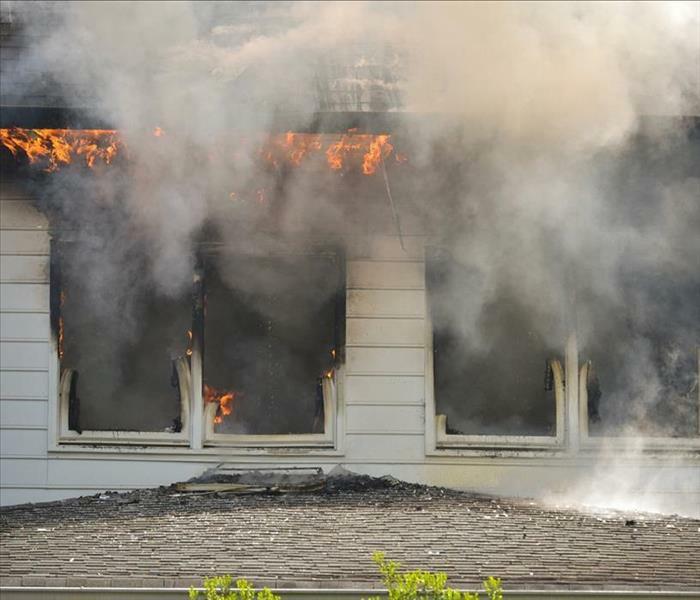 The right fire cleanup will be able to help you restore your home to its former appearance, but you need to seek help from a restoration company as quickly as possible. A smoke smell and commercial fire damage aren't things you want to deal with on your own. Fire damage can impact the way your home looks visually, but it can also impact the structure of your home. This is another reason you need help with fire cleanup after commercial fire damage. Finally, understand that the right restoration company can help you save the foundation and structure of your home or building. Commercial fire damage that includes soot damage or a smoke odor can be an incredibly overwhelming experience. Even after the fire has been put out, even experiencing the smoke smell can bring back memories of the fire. SERVPRO provides advanced equipment for the elimination of malodors. Some individuals can suffer from Phantosmia, the apparent lingering odors when none exist. Once the flood waters that invaded your commercial building have been extracted, it’s time to see which of your belongings and building contents can be salvaged and which will have to be thrown away and replaced. With items that require discarding during content cleaning, insurance companies in New Orleans, LA might be able to help with damage caused by Black Water. SERVPRO can also help with the claims paperwork to lessen your burden during this stressful time. All food in metal cans or retort pouches can most likely be safe to consume if they’re undamaged. Before opening them, be sure to wash, rinse and disinfect items. Regarding utensils, anything made of wood that was exposed to flood water will need to be thrown out. Anything metal can be washed off and sanitized. We provide specific disinfectants to kill pathogens and microbes. Since carpets are porous, it’s best you go ahead and throw them out if they’re flooded since they can easily attract mold and mildew. Anything else you have in your building that’s porous should probably be thrown out. Carpets and rugs that are a little damp might be salvageable, but you’ll want to have them professionally cleaned. Upholstered furniture soaked through with flood water should be thrown out during content cleaning. SERVPRO recommends that all porous materials like sheetrock be partially demolished and removed. We always remove carpets exposed to Black Water; this also speeds up the drying process. That being said, it’s essential you act as quickly as possible when it comes to restoring electronics. You’ll also want to refrain from using your electronics until they can be looked over by a professional technician. No matter, if you’re dealing with porous or nonporous items, electronics or furniture, all contents, should be noted and reported to your insurance company. Items you had to throw out might be covered, and there are likely other ways your insurance carrier can help get you back in business. Your insurance adjuster and your SERVPRO supervisor can work out equitable details. Time is of the essence when it comes to content cleaning after a flood. Work with the experts from SERVPRO of The New Orleans Westbank to mitigate black water damage and reduce financial fallout. We can help 24/7 by calling (504) 348-7526. 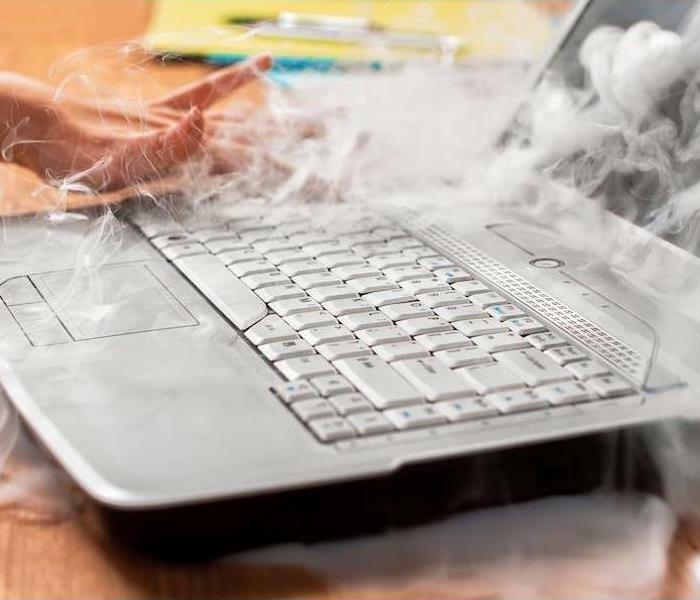 If smoke has damaged your electronics, contact SERVPRO for help restoring them. House fires can damage many different things, from clothing and bedding to important papers and documents. Fire cleanup services can go a long way toward helping your New Orleans, LA, family recover from the aftermath of a fire. These services can be essential because they can help restore your most important items to good working order. • Smoke can damage electronics. • Cleaning electronics should be part of the cleanup process. • Professional restoration services can help restore them. Electronics are frequently damaged in fires as a result of the smoke. Smoke damage has the potential to disrupt electronics due to the accumulation of fine particulate matter that makes up smoke. All this particulate matter can disrupt tiny moving parts as well as the connections between different wires and components. 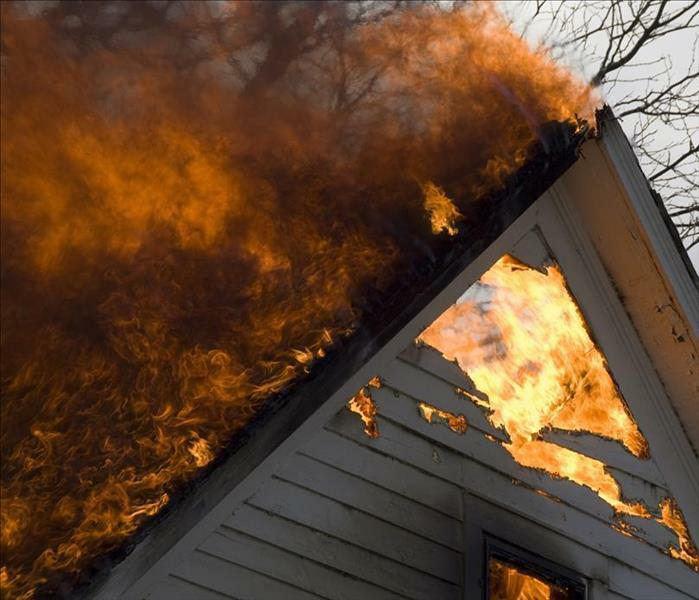 Smoke damage remediation can be part of your family’s recovery following the experience of a house fire. Your household probably depends on a variety of electronic devices to keep it running smoothly. This can include kitchen appliances, entertainment devices, communication devices, cleaning appliances, and security devices. You may not even realize just how many electronic items are used in your household until it comes time to assess their damage. Working with an experienced team of professional fire remediation service providers can be an excellent way to recover the function of potentially most electronics. Having your electronics working again may help your family return to your normal routine after fire cleanup with even greater speed. Smoke can be quite dangerous to electronics because it can prevent them from working correctly, and in some cases, can lead to further problems. After a fire in New Orleans, you can work with the professional fire cleanup services provided by SERVPRO of The New Orleans Westbank to recover your electronics’ functionality. Call us 24/7 at (504) 348-7526. 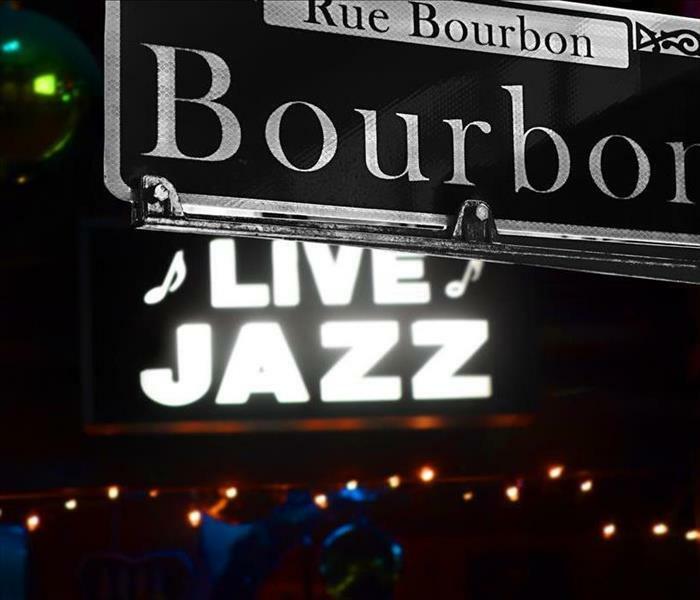 See news from New Orleans by clicking here. Don't handle this mess alone. Call SERVPRO for all your water damage needs. While you have no control over the spread of water loss incidents throughout your New Orleans home, you can plan to reach out to professional restorers that have the equipment and expertise to help. Our team has state-of-the-art equipment that can remove moisture and dampness from saturated elements and materials, often preserving them from demolition and necessary replacement. This effective mitigation and restoration in an emergency begin with a homeowner that reaches out to our professionals quickly. Protecting areas like your carpeting can be a priority when facing water damage in your New Orleans home. Many homeowners have invested a great deal of money into the installation and upkeep of the carpets in their home, and widespread irreparable damage can prove a costly and often unnecessary expense. With our fast response in emergencies, our SERVPRO technicians can focus our mitigation efforts on drying out saturated carpets to save our customer’s money and time. From the time that our technicians first arrive at your home, we begin our assessment of the damage with thermal imagery and moisture detection. While the source of the water damage has likely been shut off by this point, assessing the point of this damage and repairing it when necessary is an important step to ensuring that mitigation and restoration work is effective. Protecting your carpets often begins with the use of our weighted extraction system. This remote-controlled ROVER forces moisture from the carpet and subflooring to the surface for extraction by the high-powered onboard vacuum. Once most of this moisture and dampness has gotten removed through weighted extraction, our SERVPRO professionals can float the carpets to ensure that they get dried thoroughly. This process involves uninstalling this flooring from the edges of the room and setting up our air movers to run between the carpet and the subflooring. Once the area gets dried, we can use our premier carpet cleaning equipment to provide a polished finished product. While many steps make up restoration of your water-damaged home, these processes cannot begin without reaching out to our certified professionals. You can reach our SERVPRO of The New Orleans Westbank rapid response team 24/7 at (504) 348-7526. When you find yourself trying to handle flood damage know you are not alone we are available 24/7 so call us right away. Nestled against the Gulf of Mexico, New Orleans residents are all too familiar with the severe weather systems that can make landfall in the city and wreak havoc on structures and levees. Flooding is a common result, even with many of the safeguards that both the city and homeowners have installed. Many of the homes throughout the area have crawlspaces both to protect them from rising floodwaters and to provide access to necessary utilities, junctions, and shutoffs. When flooding occurs, it is important to remedy the pooling water in this area of your property immediately. While it might not seem like a pressing concern to have a flooded crawlspace in your New Orleans home, the effects in this area of your property can quickly spread to affect the rest of the house. Our SERVPRO professionals have effective extraction equipment and drying tools that can help to limit the potential exposure to vital construction components like beams and supports. The faster that our team can get to work on eliminating the moisture in this area, the less likely these materials become weakened through saturation and secondary effects like mold growth. From the time that our professionals arrive at your home, we unload all of our extraction equipment first to eliminate the excess water pooling in this area. For severe exposure, we can utilize truck-mounted pumps that we have on our production trucks for fast removal to make way for the drying efforts to come. While there are many tools that our SERVPRO technicians can use to dry out this damaged area of your home, we rely most heavily on our high-velocity air movers and our dehumidifiers to reduce humidity and moisture levels far below acceptable parameters without damaging the wood structural components in the process. Flooded crawlspaces can cause several damaging effects to the main floor of your home if not taken care of immediately. Let our SERVPRO of The New Orleans Westbank rapid response team help to protect your property and your investment against these effects by calling (504) 348-7526. Looking for a summer job, click here. 4/23/2019 - New Orleans Bars, SERVPRO, and Water Recovery Fast! 3/26/2019 - The Solution To Your Water Damage Issue In Your New Orleans Home Is Our Crew At SERVPRO!